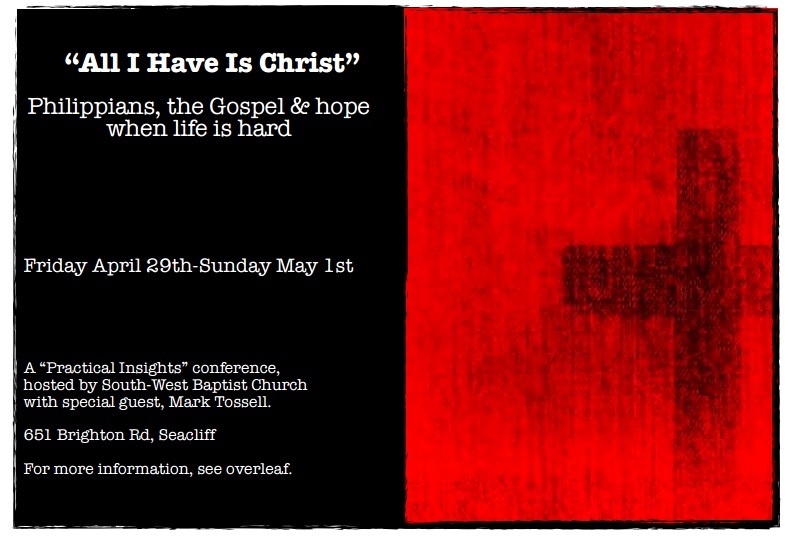 A “Practical Insights” conference, hosted by South-West Baptist Church with special guest, Mark Tossell, author of ‘Hope, Help and Healing for the depressed’. The apostle Paul knew that God cared for him & when he wrote to the church at Philippi, he wanted them to be sure of that & reminded them that nothing else mattered in life but to know Jesus personally as Saviour & Lord. He wanted everyone to know the name of Jesus Christ, because that is the name above all other names. There is no other way to hope other than through Him. When life is hard. When all hope seems gone. When you’ve lost your way. In the midst of hurt. Christ can be your hope. Can you say “ All I have is Christ” ? We pray that you can! 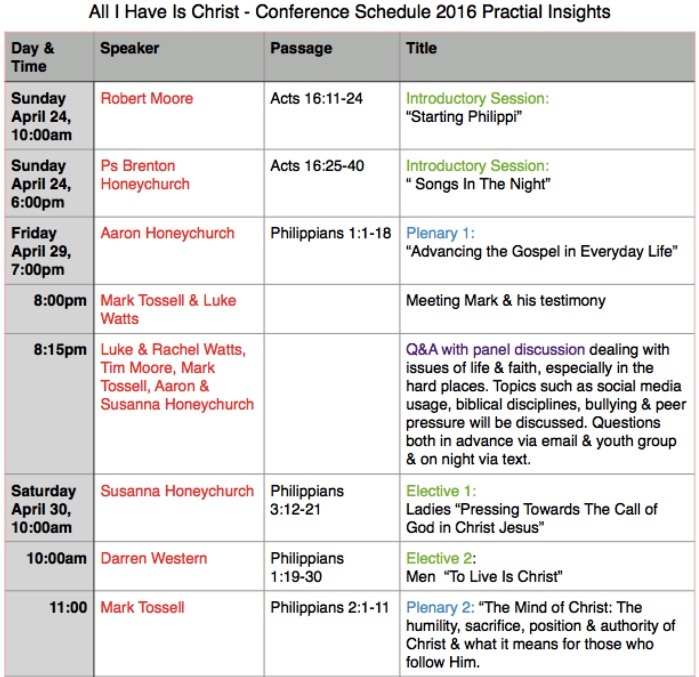 Our first session starts at 7pm, followed by a Q&A/panel discussion at 8pm with Mark Tossell & others – Panel members will seek to answer questions related to faith when life is hard & finding hope in Jesus in the battles of life! ( text or email questions to the contact listed below before the event if possible!). Pizza supper provided during break, please bring a gold coin donation. At 10am, we will have a women’s or men’s session to choose between, followed by Mark sharing from Philippians 2 on ‘The Mind of Christ’ at 11am in an open session ( bring a snack to share, hot & cold drinks provided) . 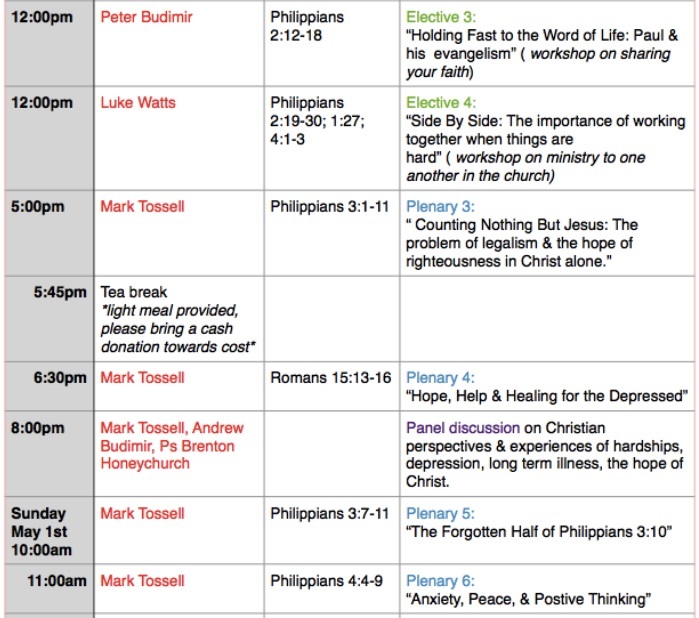 At 12pm you can chose between two topics to attend a workshop on either – “Evangelism” or “Side By Side: The Importance of Christians Ministering to Other Christians”. At 5pm Mark will share from Philippians 3 on “Counting Nothing But Jesus”. Tea will be provided after this ( please bring along a cash donation towards cost). At 6:30 Mark will share on his journey through depression & thoughts from his book “Hope, Help, & Healing for the Depressed”, followed by a panel discussion on the topic as well at 8pm. Our worship service will start at 10am, with Mark leading us in thinking on Philippians 4:4-9 over 2 sessions, followed by a shared luncheon ( please bring a plate of savoury or sweets to share). At 1:30pm, Pastor Brenton Honeychurch will deliver the theme message for the weekend, “ All I Have Is Christ” on Philippians 4. We will close the conference with a prayer panel lead by the leaders of the church ( please send in prayer requests via text or email to the contact below). Come join us for prayer and Bible Study and a morning coffee. Generally runs February to mid-December. Contact Pastor Honeychurch for more details. Peter Budimir – How do we face trials? Robert Moore – Is God’s Heart about rules or people? Peter Budimir – What stage of life are you at? 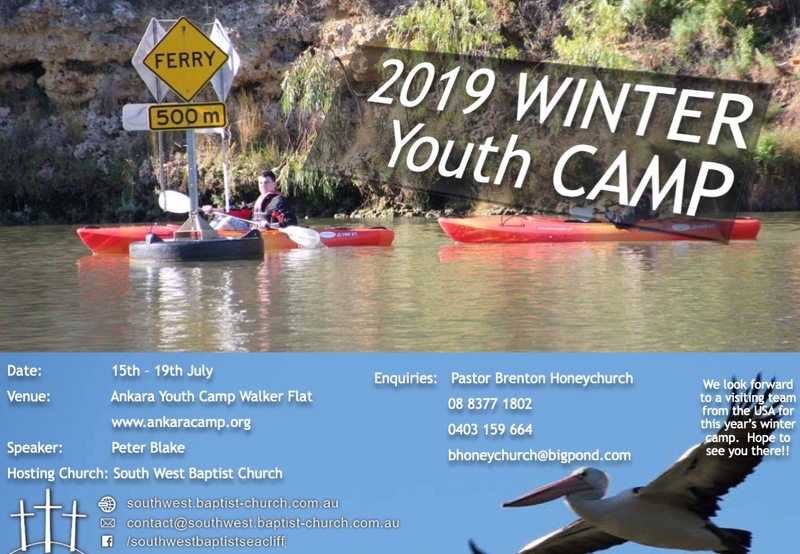 Pastor Honeychurch – Are you a wanderer or a nester? Joe Hubbard – Did God use evolution to create?